How can you achieve more of your untapped potential in soccer? Unfortunately, some soccer players do not share or see the same vision as their coaches. 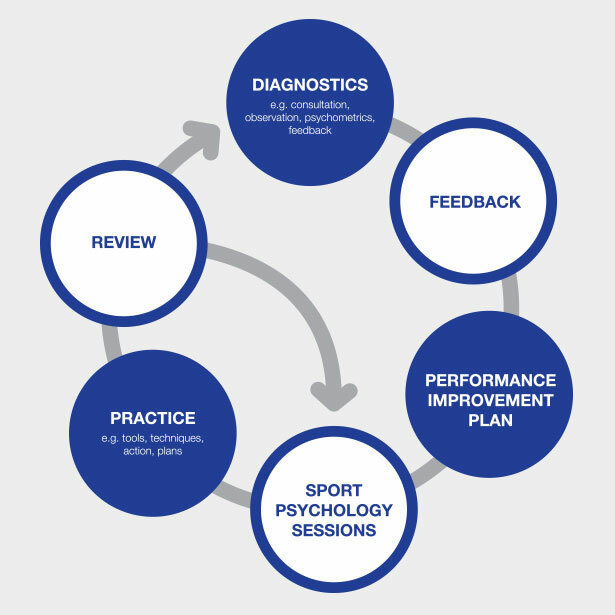 Further complicating matters, soccer players do not understand how to tap into those inner resources to achieve more. Your athletic potential can be defined as your capacity to perform at the uppermost range of your ability. Athletic potential is your highest level of success possible in the future. Potential generally refers to the ability you have yet to realize. Some terms used to describe potential are: probable, within the realm of possibility, undeveloped or unrealized. The opposite of potential is: unlikely, impossible, lacking, helpless or unpromising. 1. The first step to achieving more of your potential is to have a strong belief that you can do what is necessary to succeed. You must be willing to push your limits and know that your efforts will lead to success. 2. The next step to develop your potential is to define your long-term goals or a vision for the future. 3. Reaching your potential requires that you create short-term goals. Accomplishing smaller goals allows you to make incremental steps towards your long-term destination and gives you hard evidence that you are progressing as a soccer player. It’s the accumulation of smaller steps that allows you to make giant leaps as a soccer player. 4. In order to realize your potential, you must develop the mental game that allows you to persist and conquer adversity through the ups and downs of training and competing throughout your athletic career. 5. To grow as a soccer player you have to learn how to adjust your training, tweak your technique and improve your mental and physical skills to keep you moving towards your athletic potential. 6. To unveil your athletic potential, you must be responsible and accountable for your growth as a soccer player. Record your progress and eval‍uate your actions on a day-to-day, week-to-week basis. When things are not going as planned, figure out what you need to do instead of blaming others for falling short of your goals. 7. Sometimes it helps to ask for objective feedback instead or relying on your own subjective measures of performance. Ask a coach or a teammate to provide honest and objective feedback about your progress. 8. Change is hard for many soccer players. In an attempt to improve, many soccer players make big changes in their technique or strategy. And this can hurt performance in the short term. Be patient with changes to take place–often with changes–you take one step back to go two steps forward with your game. Motivation is the mental process that initiates, sustains or guides a soccer player’s behavior (training, approach to games, managing adversity, performance). There are two types of motivation in soccer: intrinsic motivation and extrinsic motivation. Intrinsic motivation refers to athletic behavior that is driven by internal or personally meaningful rewards (opportunities to explore, learn, and actualize potential). Intrinsically motivated soccer players participate in soccer for reasons such as: the enjoyment of playing their sport, the challenge of competition and reaching new personal levels, skill improvement, exploration of potential, etc. 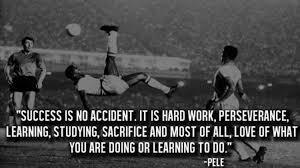 Intrinsically motivated soccer players typically concentrate on skill improvement and their growth as athletes. Extrinsic motivation refers to athletic behavior that is geared toward earning external rewards or to avoid punishment. Extrinsically motivated ball players participate in soccer for motives such as external rewards (trophies, scholarships, media attention, accolades) or to avoid negative consequences (being benched, falling out of favor with coach, disapproval of parent). Extrinsically motivated soccer players tend to focus on the outcomes of athletic contests. Which type of reward is better, intrinsic or extrinsic? Extrinsic rewards are a fundamental component in competitive sports. Could you imagine professional soccer without the World Cup? Or eliminating ESPN to reduce the public attention soccer players receive? Or even, if athletic scholarships were no longer offered by college programs? Extrinsic rewards, when used correctly, can be beneficial to soccer players. However, overuse or over-focus on extrinsic rewards can actually de-motivate you and negatively affect your performance. Ideally, you want the majority of your motivation to be intrinsic. If you increase your level of intrinsic motivation, you will be better equipped to focus in the present. You will be able to maintain a consistent level of motivation through the course of the season. You will be more focused during practice. You will experience less stress when mistakes are made. You will be more confident and you will enjoy playing soccer more. So, you can greatly improve your performance and experience on the field by choosing more effective motivation strategies. Tip #1: Create personally meaningful goals and performance objectives. Challenge yourself to improve one aspect of performance each practice or training session (technique, conditioning, physical skill, or mental skill). Tip #2: Participate in soccer for the right reasons–because you love to compete! Pursue what you want to pursue. 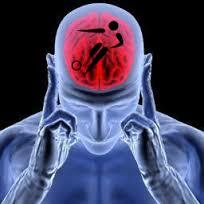 Take back control of your athletic life!